Since the invention of automobiles, people have gotten into accidents for one reason or another. However, with the introduction of the cell phones in the last couple of decades, the number of accidents that occur while people are behind the wheel has skyrocketed. Were you aware that on average, eight people are killed every single day due to a car accident that occurred because the driver was distracted? Additionally, around 1200 people are injured every day for the same reason in the United States alone. What is the largest distraction to an otherwise safe and courteous driver? You guessed it! Cell phone use. When people engage in activities like texting while driving, they are unable to provide their full and undivided attention to the road and the other vehicles on it, resulting in collisions. 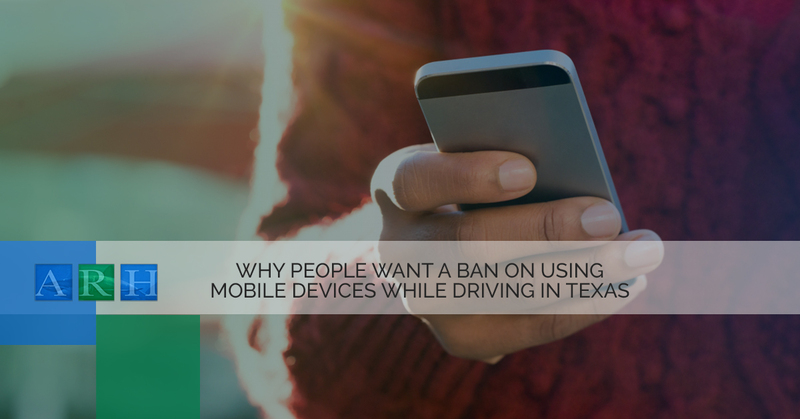 Due to a horrible accident that occurred recently and involved a pickup truck and a bus filled with members of a Texas church congregation, the last week has seen an abundance of calls for a statewide ban on texting or using a cell phone for any reason at all while driving. This is in no way a jump-to-conclusions sort of situation either. The truck driver who caused the collision has admitted that he was texting on his cellphone when the accident occurred, with other drivers also backing up this statement. Unfortunately, there is nothing that can be done for the people who were on the church bus (all of which were killed but one). The pickup truck driver, on the other hand, sustained minimal injuries. This is all the more reason people have become outraged that this law has not come to fruition as of yet. Right now, there is no statewide law that addresses the use of cell phones while driving in any capacity. While there are ordinances that have been established in several cities across the state, no action has been taken to make parameters surrounding the texting while driving and the state as a whole. Unfortunately, there were no ordinances in place where the truck/bus accident occurred, meaning the actions of the driver were not illegal. What’s Happening In The Texas Legislature? Just recently, in March of this year, the House of Representatives passed a bill that would ban texting and driving across the state. However, this legislation is now pending in the Senate, which if passed, will then need to be approved by the Governor. While this may seem as though change is on the way, this bill has been through this process a great number of times, and additionally could always be vetoed by the Governor at the last moment. On the other hand, with nearly every state in America having similar laws in place, it may finally be time to make this law a permanent fixture in Texas. Have You Been Injured In A Car Accident That Involved Texting? If you live in Texas and you have been injured in a car accident because the other driver was texting, this doesn’t mean you cannot press charges. Even though it is not illegal to text and drive in Texas, the actions of a negligent driver can absolutely lead to the pursuit of a claim for civil damages, as well as a lawsuit. If you have sustained injuries in a car accident and you are in search of a personal injury lawyer who will stand by your side, it’s time to call Alex Hernandez Trial Law. With offices all across Texas in places like Corpus Christi, San Antonio, Victoria and more, we will do everything we can to get you the settlement you deserve in no time. Contact us now for more information!